What are you thankful for? This is a question that many of us are only prompted to reflect on once a year. Some of the things that come to mind might be family, friends, health, financial security, coffee or Netflix. The things that we are thankful for are incredibly personal and add intangible value into our lives. The way that we demonstrate this feeling is through gratitude. 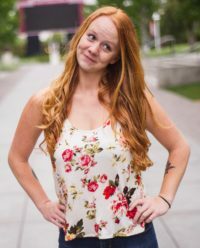 According to Google Dictionary, gratitude is the “the quality of being thankful and the readiness to show appreciation for and to return kindness.” The benefits of this positive emotion are highly documented and diverse in the field of positive psychology, including increased self-esteem and self-control, strengthening of interpersonal relationships, and improved sleep, happiness and optimism. As great as all that is, in life, gratitude can be difficult to express and even more daunting to ask for in return. Dr. Laura Trice says that it’s because it allows others to see one of the most vulnerable parts of ourselves. 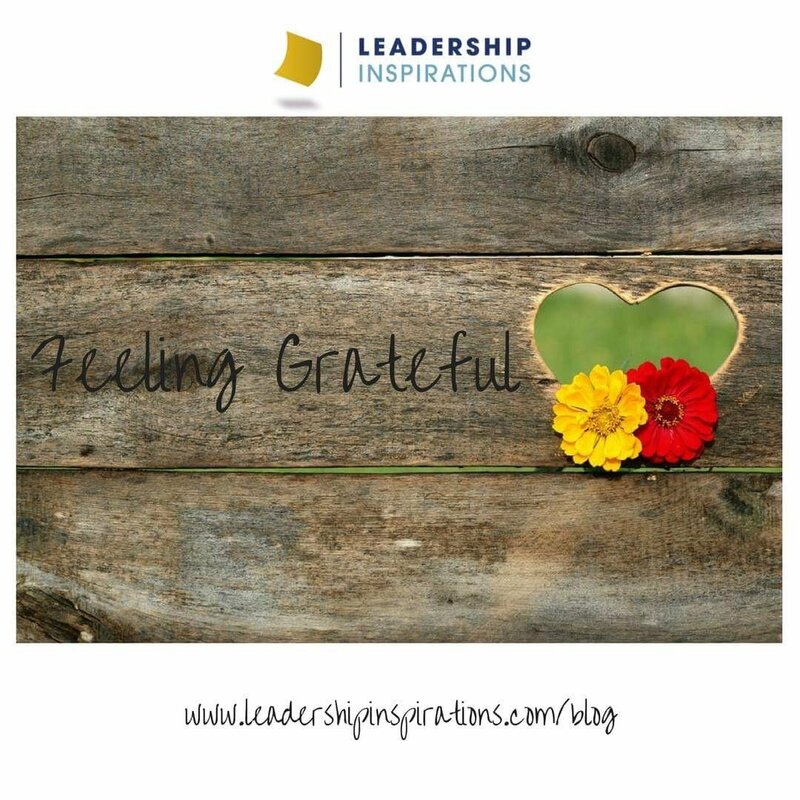 This is particularly challenging for me, so much so that I have received feedback from people close to me that I can come across as being ungrateful. That is not at all the perception or the impact that I want to have on others. So, I began to wonder, what could I do to improve? 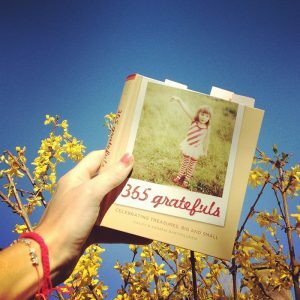 Through research, I came across a project called 365 Grateful. 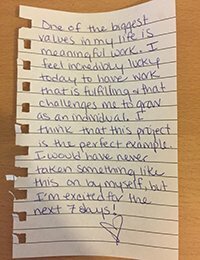 In her search for happiness, Hailey Bartholomew took a Polaroid photo every day for a year documenting the things that she was thankful for. She said that this daily ritual began to “re-program” her brain: “It really amazed me how quickly I began to notice things that I otherwise would have missed.” Her photos inspired others to do the same. 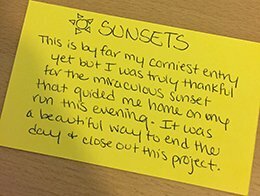 In this spirit, I decided to take on a gratitude project of my own. I have to be completely transparent and say that I’m a big skeptic. 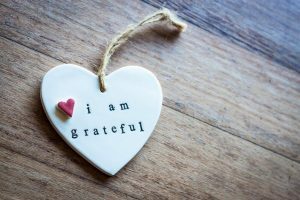 “30 Days Of” projects have never been my thing, but the abundance of scientific evidence for gratitude spoke to me, so I decided to give it a go. Thursday: I actually experienced a family emergency. It made today really difficult to feel grateful for anything. I settled for technology that allowed me to be connected to my family from so far away. Gratitude Journal – keep a journal and every day write about something that you are grateful for. Make sure to make it personal and meaningful. Photo or Video Project – the multimedia journal. Capture one photo or one second of video every day of the things that make you thankful. 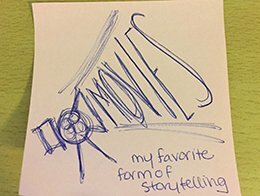 Compile them together in an album, film, or blog. 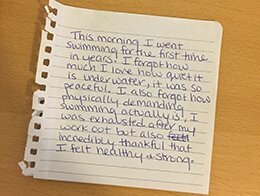 Thank You Letters – Write gratitude letters to people who you would like to recognize and appreciate. Mail them the old fashioned way or deliver them in person. Gratitude Walks/Meditation – Talk a walk or find somewhere quiet to meditate, really focus on being present in the moment and reflect on all of the things that you notice that you are grateful for. Check Ins – Check in with your friends and family to really see how they are doing. Ask them about their “roses and thorns” for the day – what was great about today and what was their personal low. 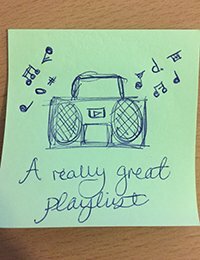 PDAs – This activity is great for work or school: recognize others with a quick and easy Post It Display of Appreciation. 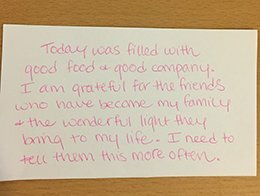 Bondfire Buddies – If you want to foster gratitude in a larger group, try an activity like Bondfire Buddies.